Beautifully presented 2015 Mercedes Benz GLA45 with full dealer service history and ** 2 Years Mercedes Benz Certified Factory Warranty**. Finished in sparkling Mountain Grey paintwork this exhilarating AMG Hatch has looks, performance and practicality and is the perfect size for all occasions. 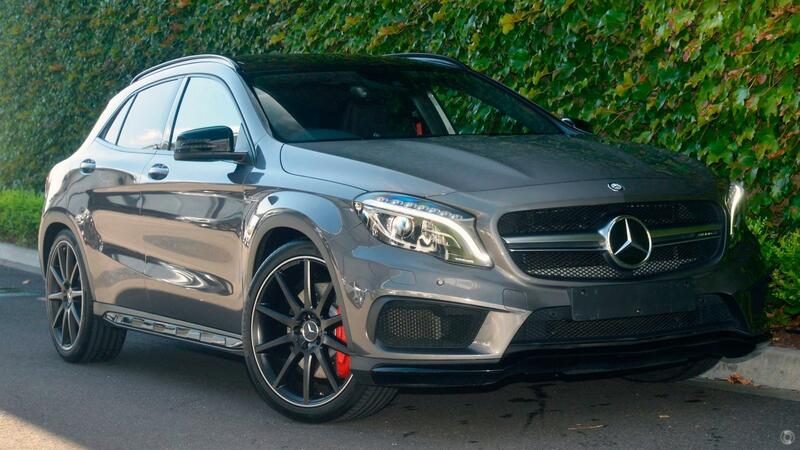 This GLA45 has been freshly serviced and is in stock ready for immediate delivery ! !